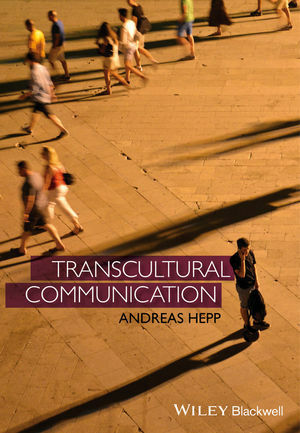 In Transcultural Communication, Andreas Hepp provides an accessible and engaging introduction to the exciting possibilities and inevitable challenges presented by the proliferation of transcultural communication in our mediatized world. Andreas Hepp is Professor of Media and Communication Studies in the Centre for Media, Communication and Information Research (ZeMKI) at the University of Bremen, Germany. He is the author of Cultures of Mediatization (2013), co-editor, with Friedrich Krotz, of Mediatized Worlds: Culture and Society in a Media Age (2014), and co-editor, with Nick Couldry and Friedrich Krotz, of Media Events in a Global Age (2010).